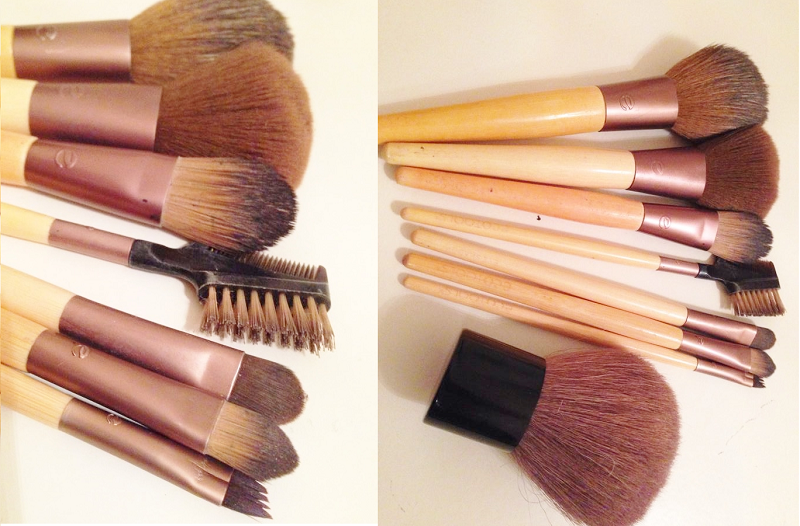 Alice's Antics: What's In Your Make Up Bag? A couple of weeks ago, when I'd just posted my brand new email for people to contact me on, I had a request for a 'What's in your make up bag' post. At the time, I decided the whole shabang wasn't really for me. I am definitely more of a lifestyle blogger than a beauty one, and in all honesty I know very little about beauty and make up. But since then, I've had more and more requests to write this post. And although I have absolutely no idea why it's so popular, especially for a human like me who takes their make up off as soon as they get in, I thought I would give it a crack. This is a somewhat condensed version of a make up bag, because my real one is absolutely ginormous and I barely use half the stuff in it. So instead this is more of an 'essentials' post, as I know we all have busy lives and things to do (well, you probably do). I also want to point out that if you know me in real life, particularly if you're my mother, you may want to have a little sit down to read this. Some of the items are a little pricey for a gap year student with next-to-no money, so at least the question of 'How can your wages be gone already' will been answered. Estee Lauder Eye Shadow Palette in Surreal Skies: £36.00 (I know)! I like how at the beginning of this post I said 'condensed version' and then proceeded to show you all the whole contents of my bag. Ah well, I can't be helped. I'm sorry if this isn't your thing or if you're a fella and all about my witty humor. This week I've been feeling a little homesick, probably because my host family were away so I had a lot of time to think about things. Rest assured though, I am very happy here, and next week I will bring you my usual 'Opinions and Ramblings' as per. But sometimes it's nice to throw a few things into the mix. Either way, I hope you enjoyed it! Make up bag is really important fpr every woman to help her tp look nice and feel sure.